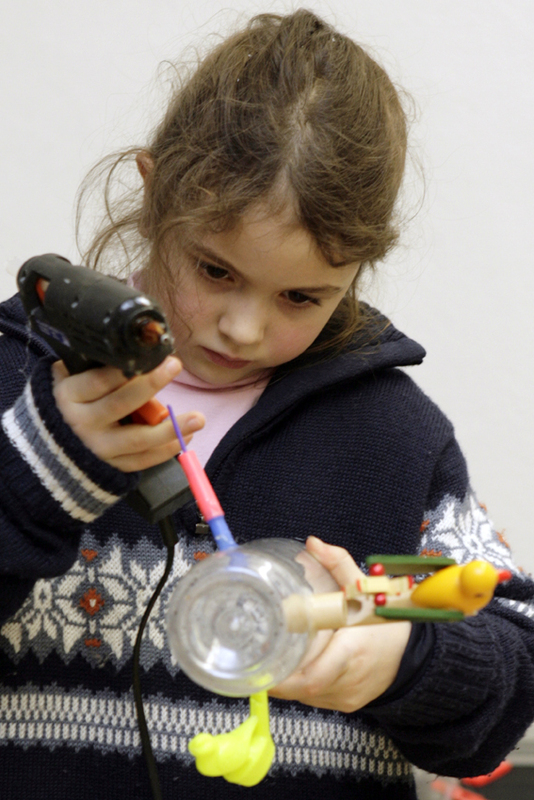 For the Stuttgarter Filmwinter we did a Philharmechanic Workshop with kid’s building instruments from old vacuumcleaners and all sorts of toy-instruments and other noise making things. 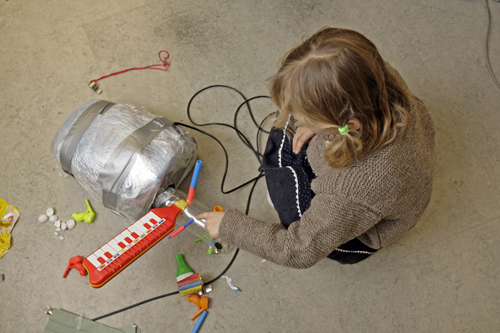 The workshop resulted in a performance of the kid’s as Young Philharmechanic Orchestra Stuttgart. The orchestra was conducted on a simply number-based system, the kid’s used flash lights on the half dark stage to switch on and of their instruments while iluminating them. For this we prepared light sensitive switching boxes for the single instruments.